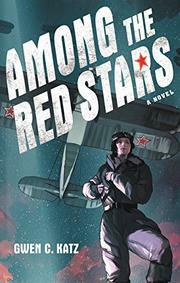 A young Soviet woman fulfills her dreams of flying for the Red Army’s air force during World War II in this historical debut. Valka Koroleva wants nothing more than to join the war effort as a fighter pilot, inspired by the daring example set by her idol, Russian airwoman Marina Raskova. When the opportunity presents itself to try out for Raskova’s brand-new all-female fighter and bomber regiments, Valka and her cousin Iskra do whatever it takes to prove their worth as airwomen and ultimately gain themselves spots in the 588th Night Bomber Squadron, a group of women who would become known and feared among the Germans as the “Night Witches.” Meanwhile, Valka’s sensitive childhood friend Pasha is drafted into the army before she can sort out her feelings for him. Much of the action of the novel is subsequently described in long letters the two exchange throughout the course of the war, lending a stilted, secondhand quality to the proceedings and robbing them of the urgency that should rightly accompany the valiant actions depicted. Though many of Valka and Iskra’s compatriots are based on real airwomen who were part of the all-female Aviation Group 122, their characterizations are unfortunately thin and underdeveloped.